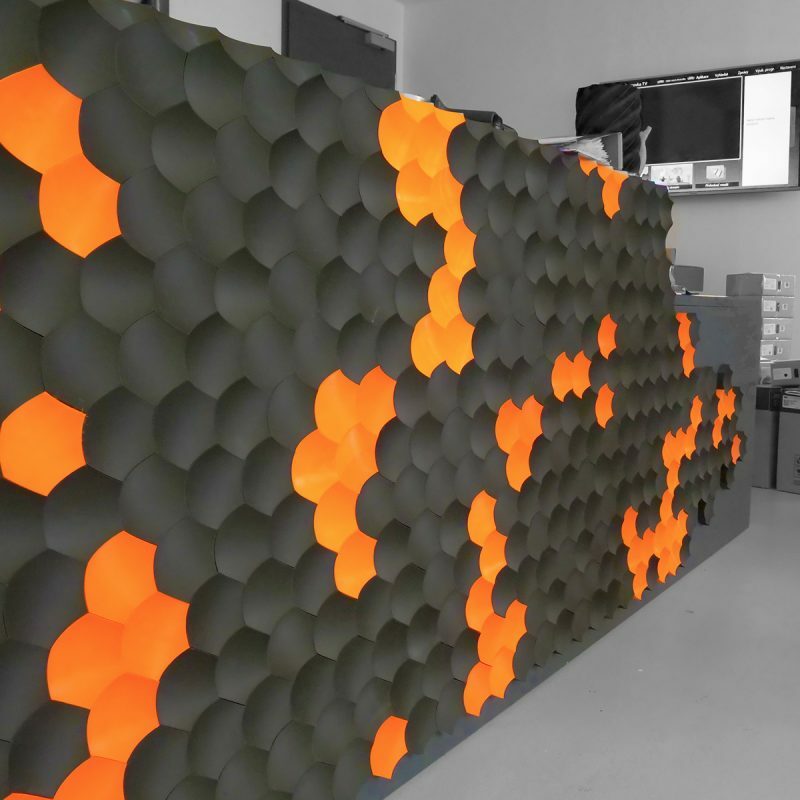 This simple tiling design was made for covering the front desk at Prusa Research office. 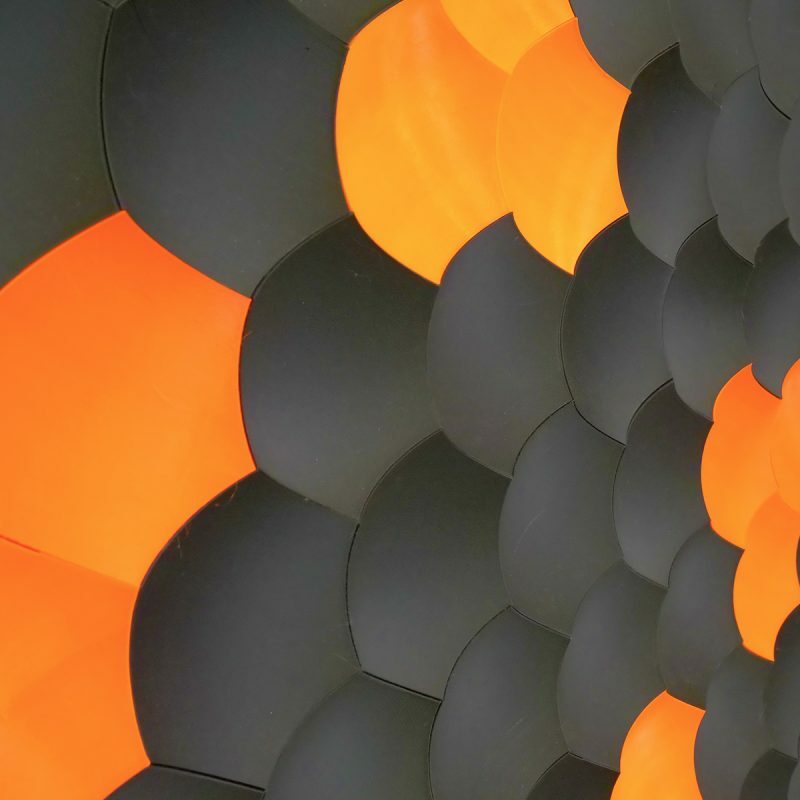 The single hexagonal tiles are 3D printed from orange and black PET material. The same that is used for the printed parts for our printers. The hexagonal motive comes from the first 3D printed infill pattern. 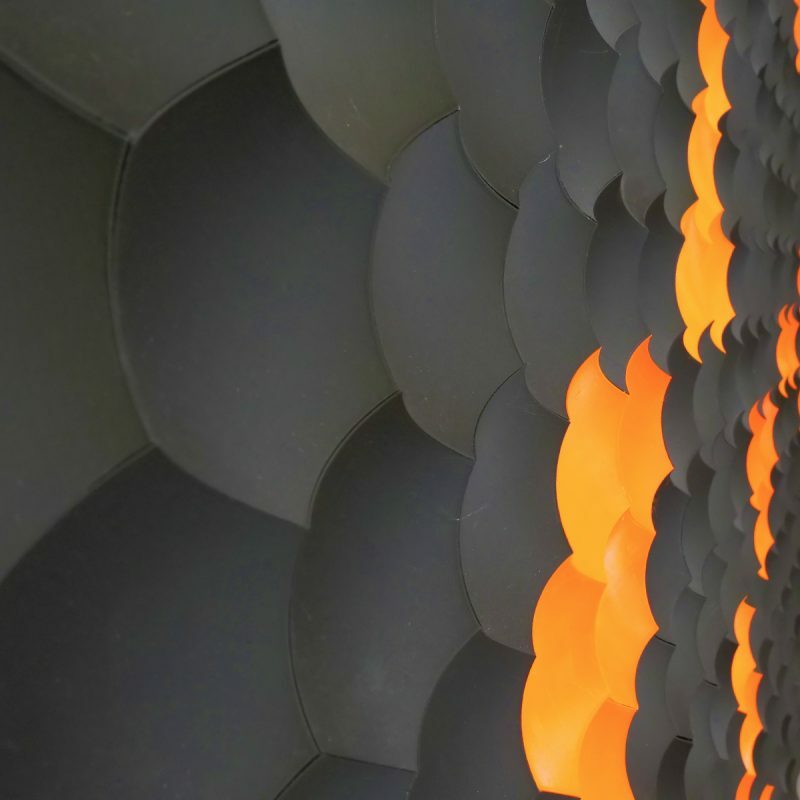 Each tile has spherical cut out which reflect the light in gradient, thus when tiles are multiplied into a mosaic a fantastic visual effect appears.